Combine flour(s), olive oil, and salt. Mix in the warm water until fully incorporated into a doughy consistency. Return the dough to the bowl and let sit for 20 minutes. 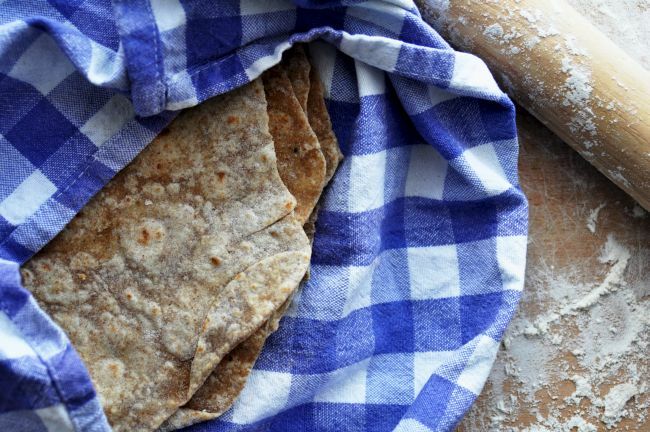 Flatten each part on a well-floured surface into thin circles using either a tortilla press or a rolling pin. Once the pan is hot, carefully move the dough onto the pan and let it sit there until the underside starts to brown, then flip it over and do the same for the other side. Be careful as they will cook very quickly and harden and burn if you don’t watch them closely. 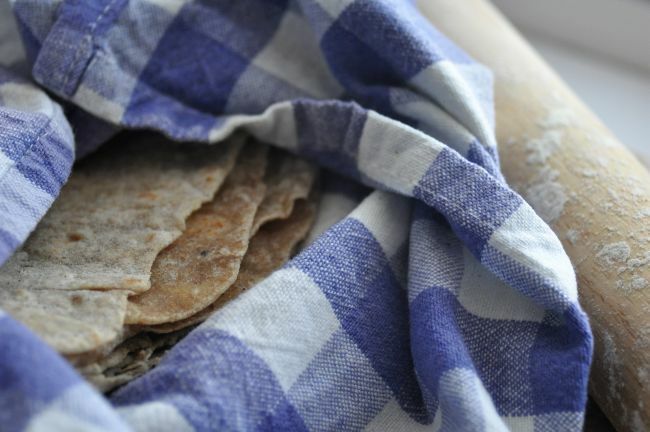 Transfer them to a tortilla cloth (regular cloth will do) to keep them warm and serve them as soon as possible! You can store them in your refrigerator for a few days, but they taste best fresh.